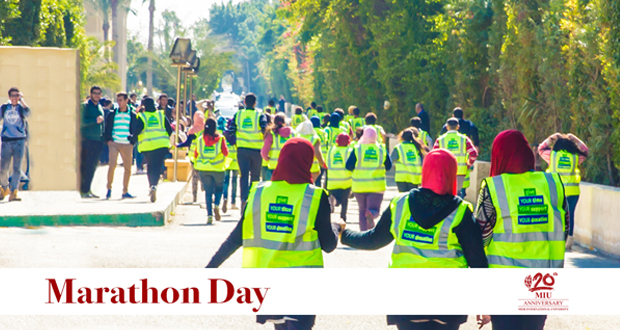 Misr International University is always keen to organize charity events. 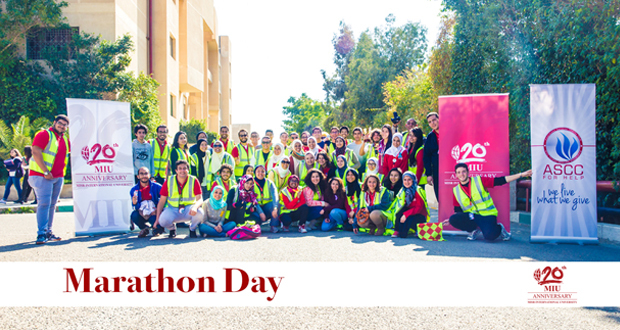 Therefore, MIU decided to organize a 4-day event to help the National Cancer Institute (NCI), in addition to continuing to organize “Child’s day”, “Orphan’s day”, and other charity activities. The first two days of the NCI event focused on spreading donation boxes all over the MIU campus, and some students from Awareness Service Charity Club (ASCC) started to explain to student about NCI and why everyone should help. On the third day a marathon was made under the same topic of cancer with Dr. Khaled Omar who gave a speech about cancer and its causes. At the end of the marathon three winners were given trophies and medals. 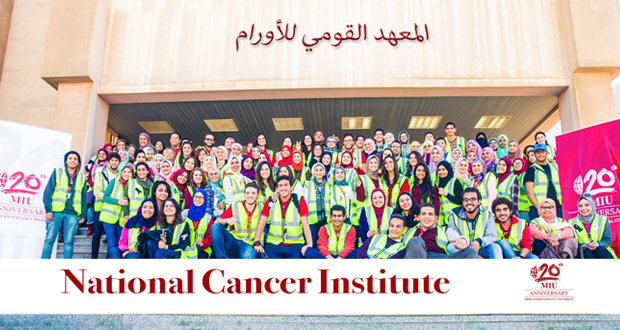 On February 4, MIU students and the ASCC visited the NCI to deliver the collected donations and some other needed equipment. The MIU group took a tour through the institute, talked with some patients, and shared some gifts with them. The MIU student spirit resounded well with patients.